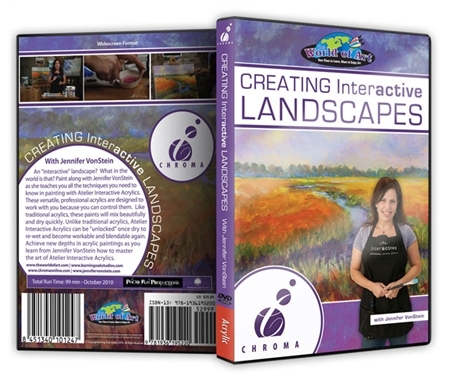 An "interactive" landscape? What in the world is that? Paint along with Jennifer VonStein as she teaches you all the techniques you need to know in painting with Atelier Interactive Acrylics. These versatile, professional acrylics are designed to work with you because you can control them. Unlike traditional acrylics, Atelier Interactive Acrylics can be "unlocked" once dry to re-wet and become workable and blendable again. Achieve new depths in acrylic paintings as you learn from Jennifer VonStein how to master the art of Atelier Interactive Acrylics.